Time for another full moon meditation on June 9. The energies certainly are powerful at the moment. Many Light workers are experiencing challenges. It may feel like the energies are changing and your body and mind need a bit of a reboot to accommodate the energies and align with the new you. This full moon is called the Grass Moon. The Grass full Moon falls in the period of growth and flowering prior to Midsummer. A wonderful time, when all the grass in bloom. Historically this is the time of the hay harvest, which would ensure that the cattle would live through the winter to come. As most vegetables are not yet harvested and the corn just begins to mature this is not t a harvest festival, but rather a time of hope and promise. Whilst nature is flowering, ad full of growth and promise, it is time to look at our lives and evaluate our own growth. The full moon is a good moment to release what no longer serves us. In this case, you can let go anything that is holding you and your personal and spiritual growth back. Then you can focus on an intention of what you wish to see in its place. We, in the Netherlands, will be meditating on the full moon at 8 pm (this is 7 pm UK time). You can either participate at the exact same time or whenever it is 8 pm in your time zone. All Light workers participating in this event connect to each other from afar. You will find this often enables a deepening of the meditation to occur. Light some candles. You may choose to burn some incense as well. Sit quietly and ground yourself by imagining roots growing from your feet deep into the earth. You may then clear and dedicate the space. I do this by calling in an ascension column of light, the platinum net and ascension flame. I also use lovely aura sprays attuned to angels and higher light beings that I make. The one called archangel Michael creates a high vibration and calls in protection at the same time. You can ask Archangel Michael to place a Golden Dome of protection around you. Connect to all the other Lightworkers so we may form a network of Light around the planet. Now imagine that you are in a beautiful meadow full of blooming flowers and grasses. It smells delicious and the sun is shining on your face. The grass is waving gently in the wind and you feel very peaceful and at ease. You see a Being of Light walking towards you in the field. 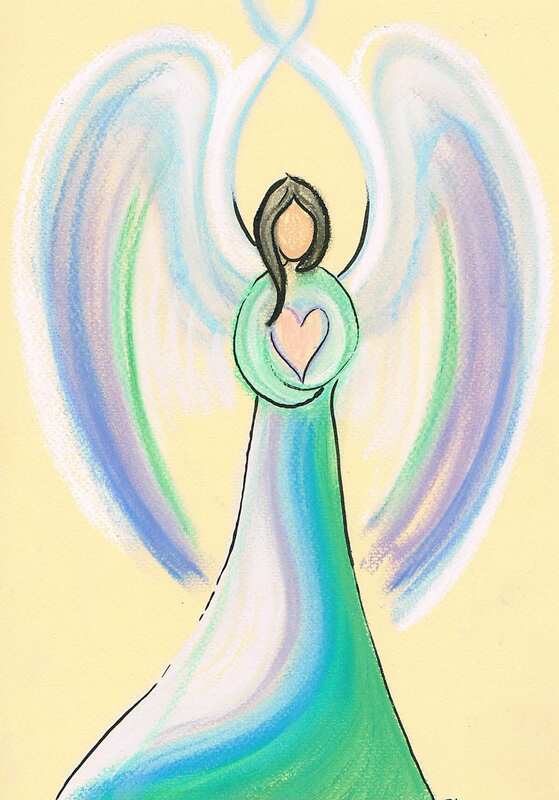 This is your Soul Angel, the angel guiding you through all your incarnations and life lessons. The angel moves towards you through the tall grass and you are filled with joy. 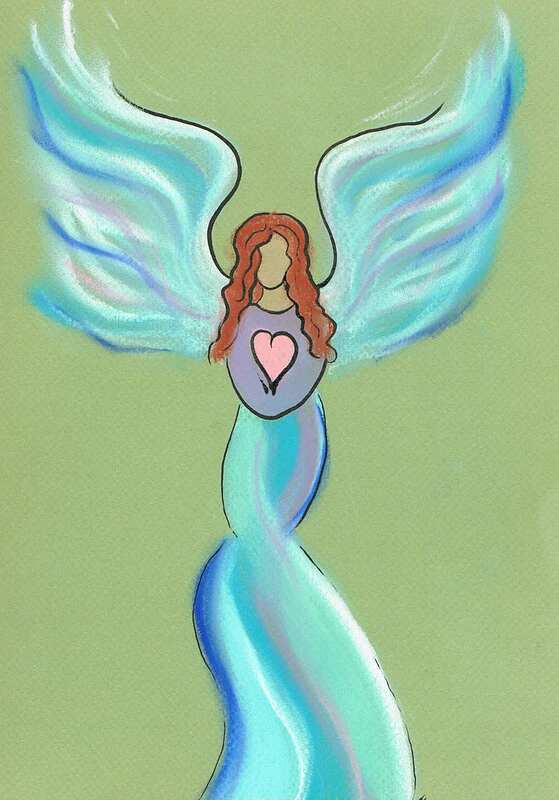 The angel gives you a big hug and its loving wings envelop you. Then the angel releases you from its warm hug and asks you if there is anything that is blocking your (spiritual) growth. Feel free to share anything that is holding you back. The angel holds out a big, golden bowl for you. You place all those things that do not serve your growth in the golden bowl. When you are finished and the bowl is full, two angels come to take it away to Source for recycling. The angel then asks you what growth you would wish to bring into your life. As you ponder this question a large white board appears before you. This allows you to project images of what you wish to manifest in your life and all things you want to see grow and flourish. You can fill the board with the words, images or video clips of what you would like to see happen. You can remember this board and add to it daily before going to sleep to increase your good intentions and to anchor them in your awareness. You can also write down an affirmation after this meditation and daily repeat it during the month. When you are finished, thank your Soul Angel. Ask your angel to support your growth and intentions. The angel does so lovingly and willingly. It is time to say goodbye to your angel and you watch the angel leave the field. This entry was posted in Angel meditation, Light work, Moon Meditation and tagged 2017, angel drawing, full moon, june 9, meditation, soul angel on June 8, 2017 by Angel Light Heart.